President Jacob Zuma’s political future may hinge on a decision by the nation’s top court whether to force parliament to hold a secret vote on an opposition motion of no confidence in his leadership. While the constitutional court will probably rule after hearing arguments on Monday that a secret ballot is legal, it’s unlikely to order parliament to use one when it votes on the no-confidence motion in Zuma, according to analysts such as Cathi Albertyn, a law professor at the University of Witwatersrand. The United Democratic Movement brought the case, maintaining that since parliament votes by secret ballot to elect the president, it should also be able to use it to remove him. The opposition filed the no-confidence motion in Zuma, 75, last month after he fired Pravin Gordhan as finance minister. Gordhan’s axing prompted S&P Global Ratings and Fitch Ratings to cut the nation’s credit rating to junk. While there’s mounting dissatisfaction with his leadership in the ANC, which holds a 62% majority in parliament, the party’s leadership has rejected all opposition-led attempts to oust him. 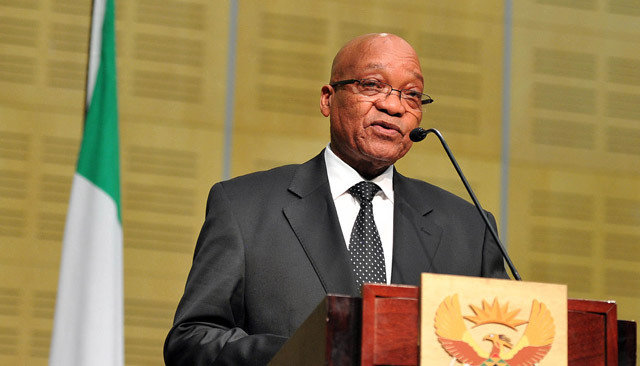 Zuma’s involvement in a succession of scandals contributed to the ANC’s worst-ever electoral performance in an August municipal vote that cost it control of Pretoria and Johannesburg. The court hasn’t said when it expects to deliver its judgment. In a ruling last year, the Western Cape high court dismissed an application that sought to force the national assembly to hold secret votes on no-confidence motions. Parliamentary speaker Baleka Mbete said the constitution and the legislature’s rules didn’t empower her to order a secret ballot. Zuma, who’s survived several previous opposition attempts to oust him, is due to step down as ANC leader in December. The South African Communist Party, which has members serving as ANC lawmakers, has called for the president to resign or be fired following his 31 March cabinet reshuffle. Marinus Weichers, a retired constitutional law professor, said the constitution provided for a clear separation of powers between the judiciary, government and parliament and the constitutional court is unlikely to take sides in the fight over voting procedures.